Sivoia QS Triathlon is the most fashionable, flexible, and affordable motorized shading system available today. This battery-powered solution offers a 3-5 year battery life for easy installation and maintenance, perfect for retrofit applications. These blinds have a wide variety of beautiful fabric colors and textures to meet the functional and aesthetic needs of any space. 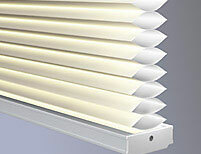 Able to work as a standalone or system solution, these blinds can be controlled at the touch of a button. Triathlon shades can be controlled via sleek hand-held remotes or wall mounted wireless switches. Triathlon shades run on 4­6 CR20 1.5V batteries. These will last an impressive 3­5 years. Triathlon shades batteries can be changed without the need to dismount the shade. 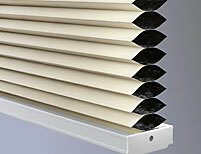 designer fabrics that allow daylight to transmit through the shade and also allow views to the outside. 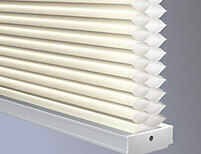 fabrics that allow daylight to transmit through the shade but limit specific views to the outside. Available in single-cell or double-cell options. fabrics that utilize a room darkening lining to eliminate light transmission through the shade and block views to the outside. Available in single-cell style.